The questions being asked today by ACLU board members is: is it good or bad for the left, is it good or bad for Democrats, is it good or bad for women, is it good or bad for people of color, is it good or bad for gays? as Democrats in the President Donald Trump era. Perhaps because accusations of sexual assault boost ratings . If news outlets can link anything back to Trump, then they’re sitting on a goldmine. 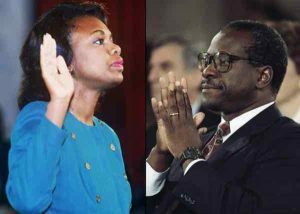 As Paglia wrote in 1991 about then-Supreme Court nominee Clarence Thomas and his accuser, Anita Hill (both pictured), Hill made uncorroborated allegations that served Democrats with a very clear agenda: abortion rights. 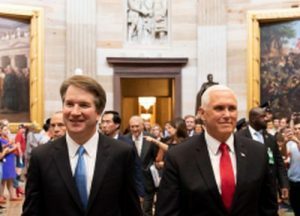 While Ford’s and Hill’s stories are different in nature, it is as true today as it was then that Democrats are using allegations to push an agenda, choosing to talk about uncorroborated claims instead of the Supreme Court’s power over our lives. And that’s not a bug in the system, as both Democrats and Republicans will take any opportunity to have more control over the narrative. 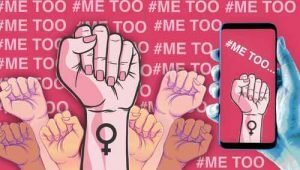 Still, this showdown has real-world consequences, as young people are largely influenced by what they see on social media. And you can’t go through one day online without seeing celebrities , politicians, and news personalities discussing the Kavanaugh allegations as facts.